The Iowa Court of Appeals has turned down a challenge of a speed camera ticket issued in Cedar Rapids. Marla Leaf was issued a ticket after a speed camera on Interstate 380 in Cedar Rapids captured her Ford Mustang traveling 68-miles-an-hour in a 55-miles-an-hour zone in February of 2015. Leaf appealed on a variety of issues including the city failed to prove her car exceeded the speed limit, and the traffic camera ordinance violated her constitutional rights along with state law and DOT regulations. The Court of Appeals ruled proper calibration has been done on the cameras. 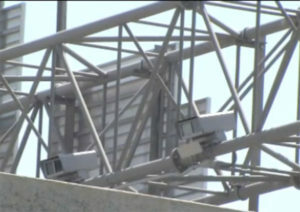 It also ruled that the traffic camera ordinance did not violate her constitutional rights, and the question of whether the ordinance breaks DOT rules is still in question because of ongoing legal action challenging the cameras. The ruling against Leaf also applies to six other motorists who had appealed their tickets from the Cedar Rapids speed camera.